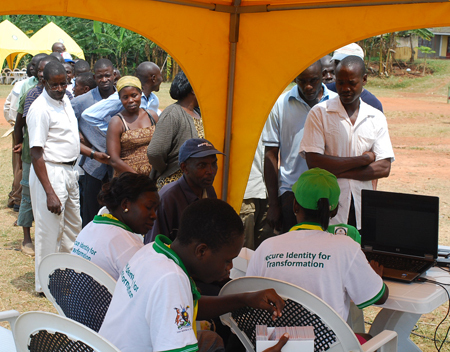 Shadowy religious sects have been accused of undermining the national ID registration exercise by claiming it is satanic. Pamela Ankunda, the communications manager at the ministry of Internal Affairs, told The Observer on Monday that the leader of one such cult named 666 has refused his members to register. “We have been receiving so many reports from different people who have refused to register,” she said. “This particular cult quotes the [book of] Revelation in the Bible, that some people will come and give you a number which is a mark of the beast,” Ankunda told The Observer. 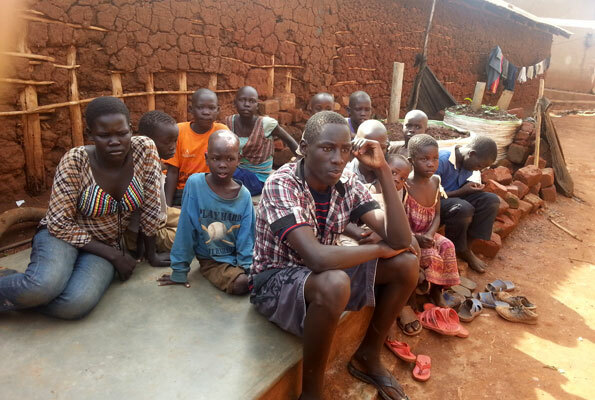 This cult has followers in both Busoga sub-region and western Uganda, Ankunda said. She further revealed that another Muslim extremist group had refused its members to register because they fear being photographed. The baby was born with four extra limbs and two scrotums. Stanley Nakhaima, a health worker attending to the baby boy with four extra limbs and two scrotums said the little boy was meant to be a Siamese twin. A youth guide to participate in decision making process and influence policies in the country has been developed. The guide was developed by National Youth Council with guidance by the ministry of gender, labour and social development and funded by United Nation Population Fund (UNFPA). Mondo Kyateka, the assistant commissioner for youth affairs noted that for effective youth participation to be achieved, youth must be informed, consulted, given space to initiate and contribute to decision making to direct programs and take responsibility. Whose responsibility are school dropouts in Kampala’s slums? Makmot (3rd R) and other children in Kinawataka slums who are supported by AVSI. It is midday and the scorching sun is bearing down upon the shanty Kampala suburb of Kinawataka, Acholi inn. Voices of children playing in the quarters echo in the shallow alleyways winding through the dilapidated structures that sit atop a steep hill. One of the corridors opens into a small compound that is marked by a grave at the centre. On realising a foreign presence, children get excited except one — Oscar Makmot. The dark-skinned boy of average height, clad in a checked shirt with unkempt hair with dusty feet tucked into undersized sandals stays put. A closer look and his story come afore. “I am in my Primary Six. I missed a term due to lack of school fees,” says the 16-year-old. “I had no option then but to remain home and support my mother by rolling beads so that I could get money for tuition”. Civil society activists have launched a campaign to help school-going teenage girls get free sanitary towels in order to reduce primary school drop-outs. The campaign dubbed; “Girls in control: Keep girls in school, provide them with sanitary pads,” was launched at Parliament yesterday as one of the events to mark International Menstrual Hygiene Day. The campaign also hopes to sensitise stakeholders about re-usable pads. While handing over the petition to the Parliamentary Forum on Water, Sanitation and Hygiene, the activists said the teenagers, especially in rural areas, fail to attend class regularly because they cannot afford the cost of pads while others fear being embarrassed since the rugs they use as pads are unreliable. On April 8, the Daily Monitor children’s magazine Rainbow reported a 12-year-old girl who dropped out of school after her father learnt about her HIV status and stopped paying her school fees. The good news is; Harriet* is now back to where children of her age belong, school. This has been made possible by the kindness of the Daily Monitor readers and journalists at this newspaper. Touched by the sad tale, Monitor journalists quickly raised Shs1.5 million to cater for her immediate needs. Mr Richard Ruyonga, a reader and a supervisor at Equator Touring Services, also visited her family with food stuffs and medication worth Shs300,000. He has offered to help them regularly. PARLIAMENT- About 80 civil society organisations have petitioned President Museveni urging him not to assent to the recently passed HIV/Aids Bill in its current form. The activists, in a petition delivered last week [May 23] at the Office of the President, want the law referred back to Parliament for further review before the Mr Museveni can sign it. The petition dated May 21 is spearheaded by the Uganda Network on Law, Ethics and HIV/Aids, Aids and Rights Alliance for Southern Africa, (Arasa) International Community of Women Living with HIV/Aids, Global Network of People Living with HIV and the International Treatment Preparedness Coalition. It is also endorsed by 78 civil society organisations. “While we commend your government for showing political leadership in attempting to reduce HIV transmission and increasing domestic funding for HIV, we are concerned by the many problematic provisions, which will negate the gains made by Uganda over the past three years,” the activists noted in the petition.